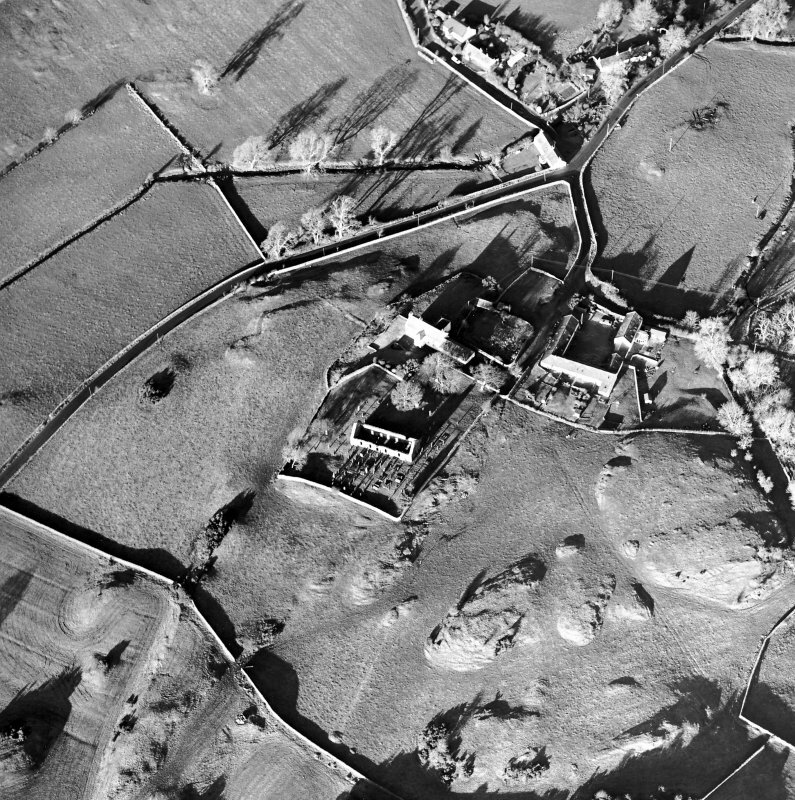 Oblique aerial view centred on the church, burial ground, manse and farmstead with smithy adjacent, taken from the NW. 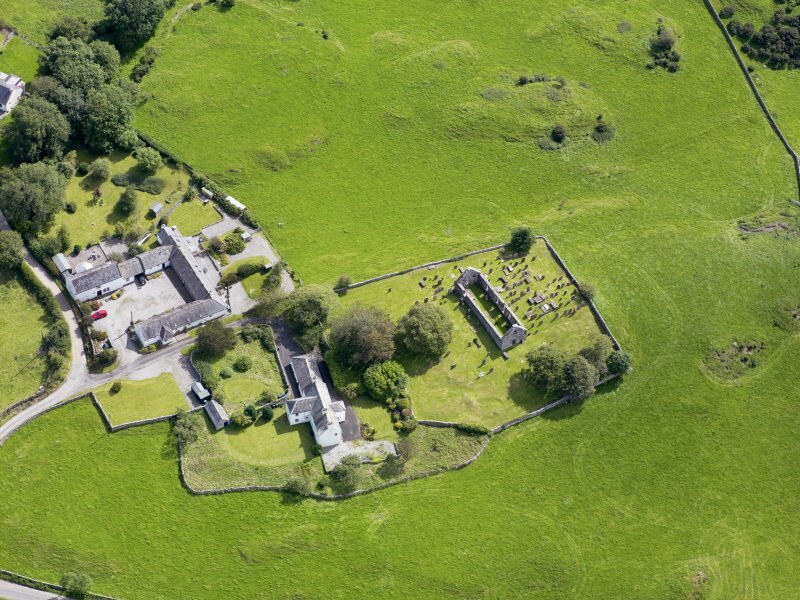 Oblique aerial view centred on the church, burial ground, manse and farmstead with smithy adjacent, taken from the SSE. 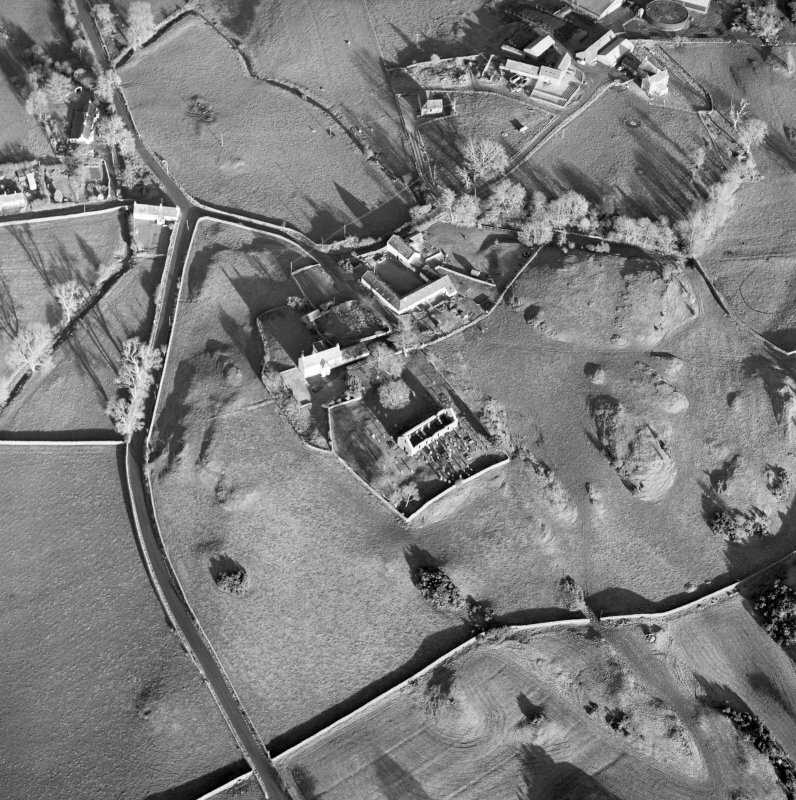 Oblique aerial view centred on the church, burial ground, manse and farmstead with smithy adjacent, taken from the SW.
Oblique aerial view of Girthon Old Parish Church, taken from the SE. 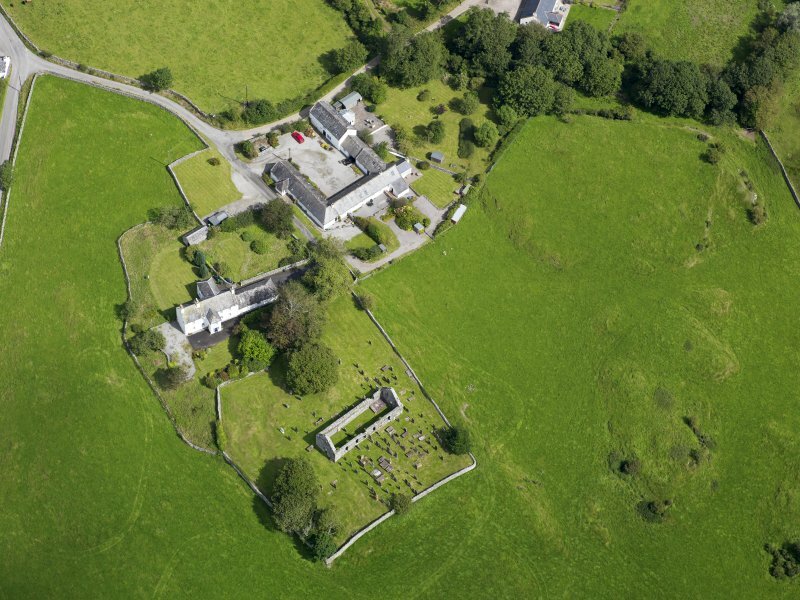 Oblique aerial view of Girthon Old Parish Church, taken from the SW.
Oblique aerial view of Girthon Old Parish Church, taken from the NW. 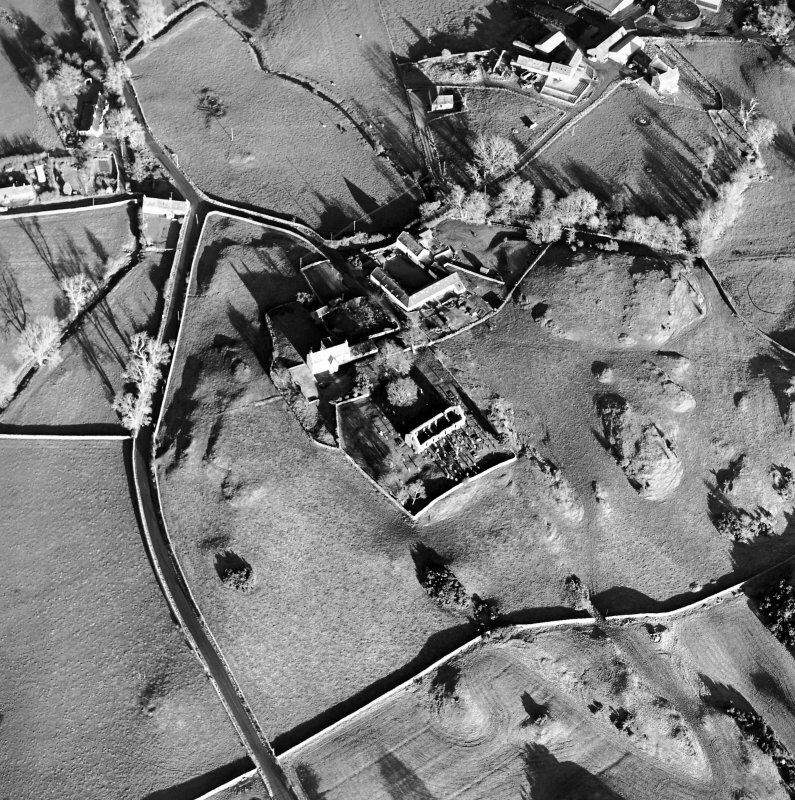 Oblique aerial view of Girthon Old Parish Church, taken from the NE. 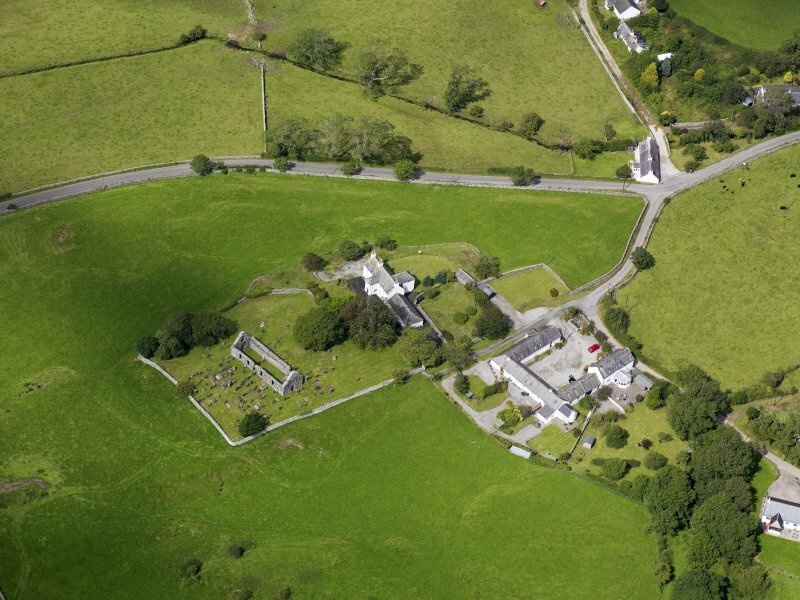 Oblique aerial view of Girthon Old Parish Church, taken from the ESE. 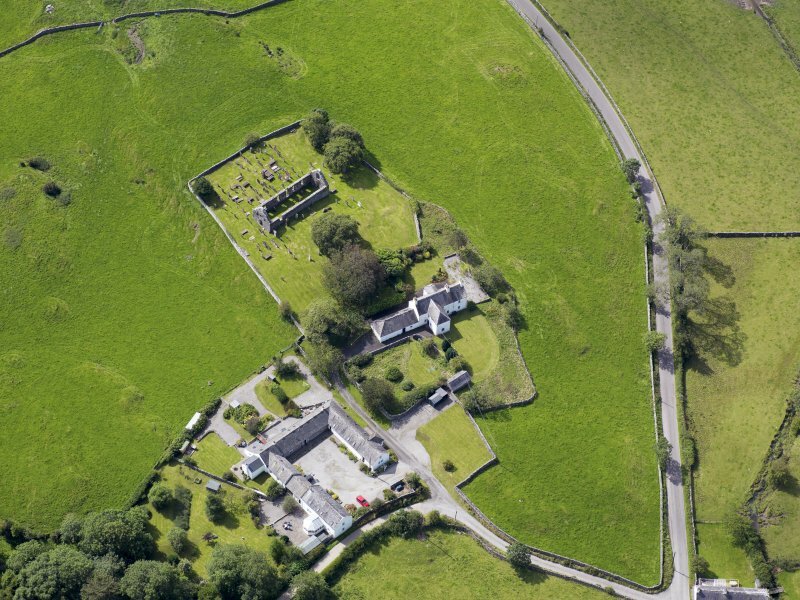 The old parish church of Girthon occupies a site dating back at least to the 13th century (I F MacLeod 1969). The existing building an oblong, which measures 69' by 20' within 3' thick walls, is roofless and in a very bad state or repair. The greater part of it was reconstructed c. 1625, but parts of the E gable and the E end of the S wall are of pre-Reformation date; there is a piscina of probably 16th century date in the S wall. The side walls stand 12' 8" high, and the height from the ground to the apex of the E gable is c 22'. 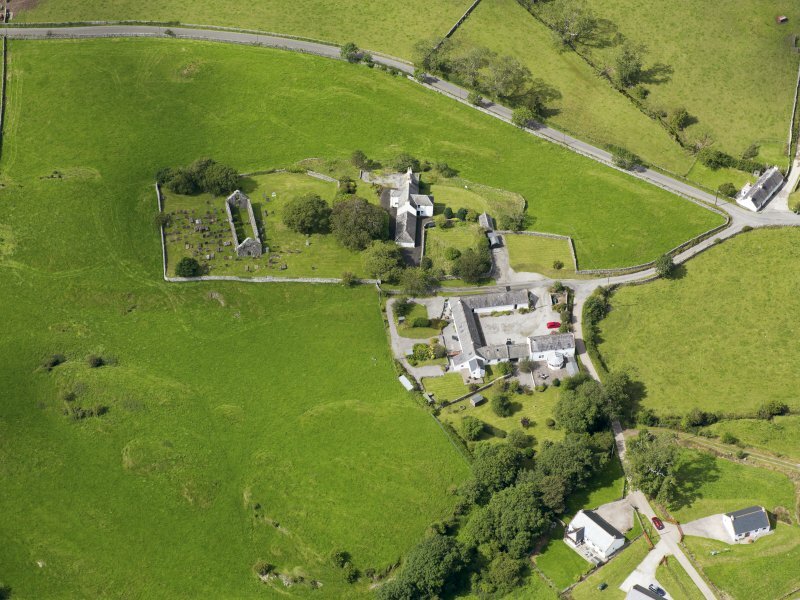 The building was in use until 1817 or 1818 when the present church was built. As described; the dedication is not known. 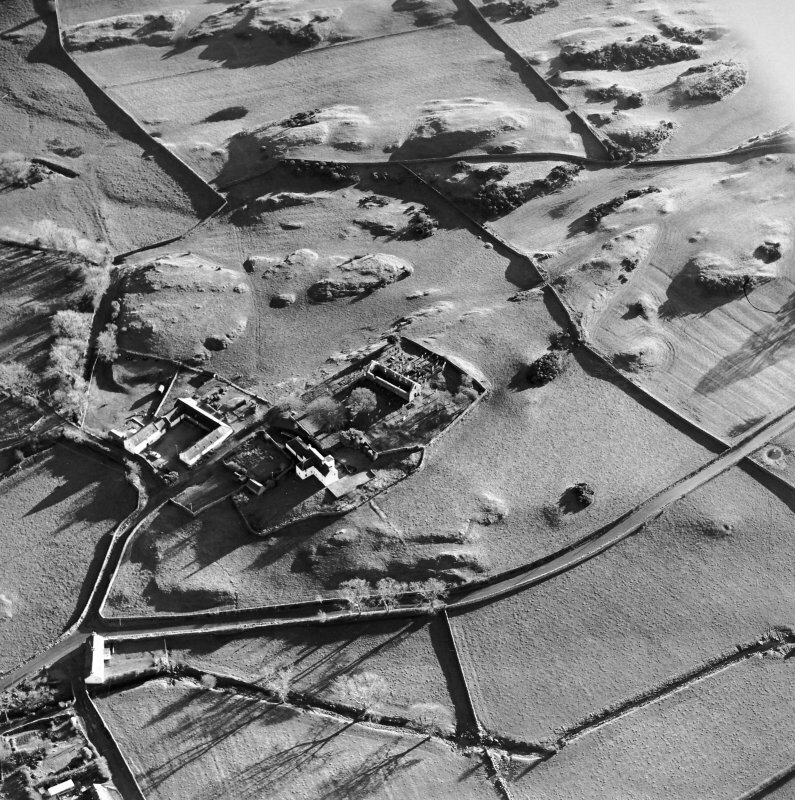 Visited by OS (RD) 24 February 1972.